Police are probing drugs link after two men were taken to hospital. Police are warning of the dangers of drugs after two men landed in hospital. 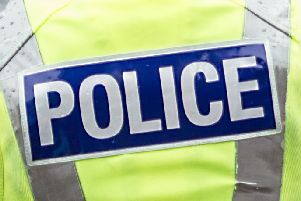 It happened in the Motherwell area on Saturday, but police refused to give any more details about the substances involved, the location or ages of those involved. Both men were kept in hospital for further observation. A police spokesman said: “It is impossible to know what is in some of these substances and they often contain a cocktail of ingredients, the effects of which can be unpredictable and cause serious harm.